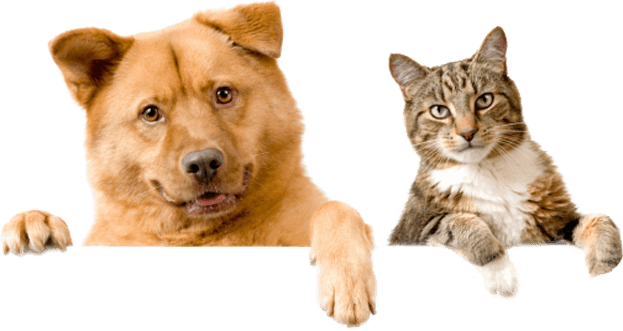 New products and services are being introduced to the market on a daily basis and we pride ourselves in staying current and relevant to needs of your pet. We won’t guarantee there isn’t a question we can’t answer but we will guarantee we will do whatever is necessary to get you the answer. As a child Dr. Hurst started out as a Navy brat and a city kid in the New England area and wound up living on a large farm in southern Missouri. On the farm she took it upon herself to name each and every cow and chicken and bandage them whether they needed it or not, and occasionally dress the calves in clothing. After high school she attended The University of Tulsa, obtaining a Bachelor’s degree in Psychology. Unsure what to do then, on a whim she took a job as a veterinary assistant. It became suddenly clear to her that her calling was in the veterinary field. She promptly moved to Stillwater, was fortunately accepted into the veterinary program, and has never looked back. After earning her veterinary degree in 1996 from OSU she headed for a warmer climate and landed in Florida. There she co-owned a multi-doctor, two hospital practice. She returned to Oklahoma in 2008 to be closer to her family and opened Kindness Animal Hospital in February 2010. She is thrilled to be back in Tulsa and, despite the cold weather, is relieved to get to experience actual seasons and be surrounded by hills and trees and alligator-free lakes and streams. Although she loves all animals, she has a special bond with cats. We think she may have been a cat in a former life as she is always seeking out warm spots and loves to watch birds. Dr. Hurst lives with her 4 legged kids: Pudge the Pug and Jersey Girl the Chihuahua as well as several beloved kitties. Born and raised in a suburb of Seattle, Dr. Nickle knew from age 7 that she wanted to be a veterinarian. After graduating with her Bachelor’s in Animal Science from Washington State University, she moved to St. Kitt’s in the Eastern Caribbean to attend Ross University School of Veterinary Medicine. While completing her clinical rotations at Oklahoma State University in Stillwater, she met her husband. They have two beautiful children, two rescued cats, a Great Dane and a mixed breed dog from St. Kitts. Dr. Nickle misses her pets that have crossed over the rainbow bridge – a Great Dane named Lexi and a retired racing greyhound named Odd Moe. In her spare time, Dr. Nickle plays the violin and enjoys spending time with her family. Dr. Katie Seibert graduated from Jenks High School and studies Music and Animal Science at Oklahoma State University before attending OSU College of Veterinary Medicine. 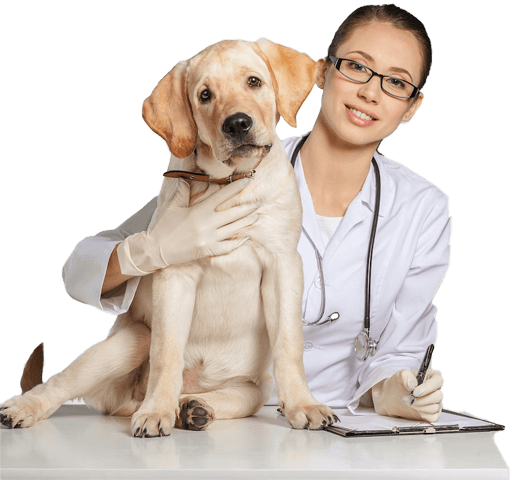 She graduated in 2009 and worked at Banfield Pet Hospital and Alta Vista Animal Hospital before joining the Kindness Animal Hospital team in September of 2017. In her free time, she enjoys spending time with her family, including 2 cats and two dogs. Kim is a true Floridian. She was born on Ft. Myers Beach, Florida and lived in the Ft. Myers area for almost 40 years. She loves the Tulsa area and has recently learned to drive on ice and snow. She has spent most of her career in management, most recently as Assistant Service Manager at Don Carlton Honda. She has successfully rescued, fostered and placed many feral kittens and cats, including 3 from Don Carlton Honda and 11 from the Honda dealership she worked at in Ft. Myers. Jessica is a local girl from McAlester, Oklahoma. She started her veterinary career in 1999. She has 2 daughters at home as well as 1 Great Danes Oracle, a Sphynx cat named “Smeagol” and a Calico cat named “Godzilla”. Jessica has always loved animals and when we asked her what she enjoyed doing in her spare time she said, “What is that, ha-ha.” All kidding aside, her spare time is reserved for her 2-legged and 4-legged kids as well as her family. Cathi began her career with animals at a pet store in Alaska in 1997. She had worked her way up from Kennel Assistant to Veterinary Assistant by 2001. After moving from Alaska to Hawaii, she worked at the only 24 hour emergency clinic in Hawaii. During her employment there she was trained in surgery, ER and ICU. Cathi has successfully bottle fed several litters of stray kittens and 1 litter of puppies. She has been married to her husband, Rob, for 24 years. They have two kids, Joshua and Jenifer. Their family pets include 5 cats and 2 dogs, all of which are rescues. She said her family accuses her of being a “work-aholic”. Her response is, “With a job like this, who wouldn’t be? Jesse started in the veterinary field in 2008 by attending and completing a veterinary assistant program through Carrington College. Originally from Arizona, she now resides in Sapulpa, Oklahoma. Jesse has a great husband of 18 years and 2 wonderful sons at home as well as 6 Chinese Crested Terriers ( Aby , Z , Hairy, Pipes, Min Min and Clippy) and 3 cats a Sphinx (minion), Dyson, Hanzie and a gecko(Grendal). Outside of work Jesse spends her time with family and in the wonderful world of books. Sophie is a Tulsa native. Growing up her family took in wildlife for rehabilitation. Her favorite to raise are opossums. She graduated from Community Care College in 2016 for veterinary assisting. She currently has 1 dog, Bubba, and 2 cats, Harry and Chicken. Shannon is Oklahoma born and raised. She has 2 dogs and a parrot. She is a woman of few words but has a heart of gold and will do whatever it takes to make sure your fur kids feel at home while they are here. Kayla moved to Bixby 5 years ago and has been with us since she moved here. She has been working with animals all her life and grooming for 6 years. She grooms by AKC standards. She has a registered paint horse named “Fancy” and 3 dogs a Shepherd Mix named “Bailey”, Shih Tzu named “Cooper” and a Mastiff named “Arie”. Kayla spends most of her time trying fun cuts and colors on Cooper (haha), riding her horse and spending time with family and friends. Chances are if you’ve ever been to our clinic, you’ve met Tony. He always makes a point to come visit. He knows no strangers, especially dogs. The bigger the dog, the better. He is the youngster of the bunch at 4 years of age. He loves laying in the sun and playing with his fuzzy mice (fake of course). She was born and raised in Farmington, New Mexico. She moved to Tulsa in April 2016. She has 2 horses in Colorado named Bailey and TatorTot. Growing up, she had a Golden Retriever named Shadow. Shadow passed at 14 years old in 2015. The summer of 2015, she travelled the United States with a friend, and was able to touch the California shore and Jersey shore within a month. Travelling helped her move to fulfil her passion to work with animals. She worked with Jiffy Lube for almost 2 years before she got her foot in the door. She goes home to her boyfriend, Taylor, and their 4 dogs, Riley (Blue Heeler mix), Zues (Husky mix) and Dammit (Terrier mix). She truly believes a dog is a man’s best friend. Tippy is a resident clinic kitty. She came to us in early 2011 to be spayed. She was abandoned here because she was pregnant and unwanted. Two days later she gave birth to 4 beautiful kittens. The two girls “Kona & Kehei” were adopted by a wonderful couple and still come to our clinic regularly. The two boys “Milo & Otis” were adopted by another wonderful couple and still come to our clinic as well. Piper was a stray found in a tree across from our clinic in 2013. After all these years she is still shy to most but she loves her furry beds and lap time with Dr. Hurst.